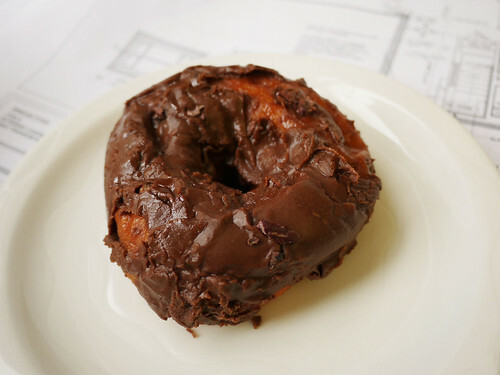 In brief: Sweet dear Kim brought us a doughnut from the newly opened Dough a few blocks away in Manhattan. We've tried the doughnuts from Dough, and frankly I hadn't fallen in love. That is until today. While the photo is not pretty, it was a yummy in my tummy. And I'm also thankful that Kim brought us the chocolate which we would probably never have bought ourselves, but turns out is the real winner! Everyone needs a Kim in their life!